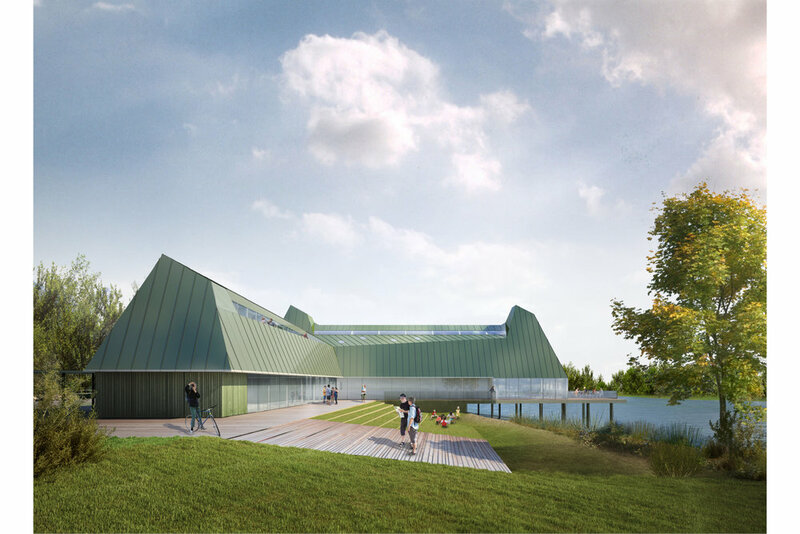 The Royal Institute of British Architects seeked design concepts for a new visitor centre for Sevenoaks Wildlife Reserve in Kent. In our proposal the centre is conceived as a compact cluster of iconic volumes inspired by the traditional buildings of the region, arranged in order to create a gateway to the reserve. The design aims to improve the existing infrastructures to minimize the impact on the surrounding natural landscape and the project budget. The centre is designed as an L-shape building where one wing sits alongside the central path from the car parking, which enables an iconic perception of the centre, and the other wing protrudes onto the West Lake. The entrance is located at their junction and it’s signified by a pyramidal volume that establishes the origin of the composition. Two other volumes with similar aesthetic complete the cluster, one on the edge of the wing over the lake (café) and the other across the pedestrian path (ancillary building) . 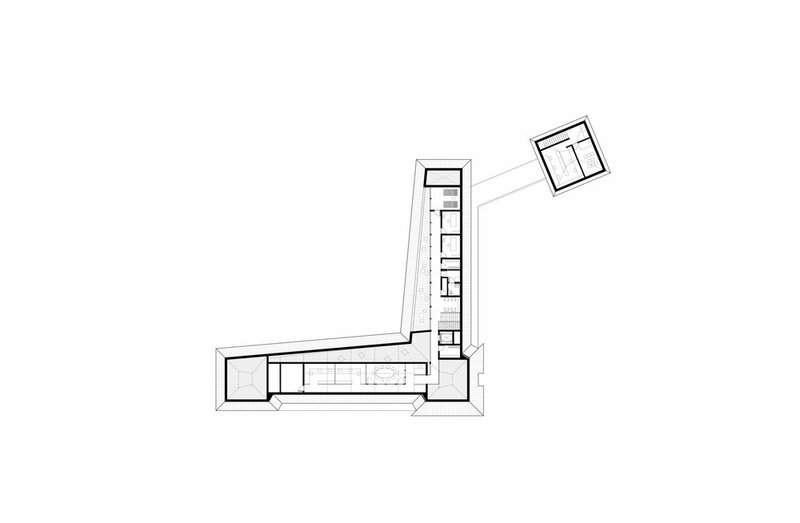 The L-shape allows multiple relations with the surroundings: while one wing is more open, offering spectacular views onto the lake, the other one relates more to the land and has a more introverted character. The range of materials is very essential and oriented to deliver sustainability and, at the same time, a timeless resonance with the natural landscape.